A volunteer for a used book sale found an unexpected treasure in a book about the Roman Empire: $4000 in cash. What she did with the money after she found it, however, is what is truly amazing. The organization began in 1949 as a part of the Visiting Nurse Service, but once that organization became associated with a hospital, VNSA took a new name and continued their beloved book sale. Today the 63-year-old tradition continues to supply affordable books to the general public while raising money for local Phoenix-area charities like the Arizona Friends of Foster Children Foundation and the Literacy Volunteers of Maricopa County. Over 130 volunteers spend time throughout the year collecting more than 600,000 books from local donors, sorting through them, pricing them, and getting them ready for the big sale that happens every February. Cathy McAllister has been a part of VNSA since 2012. She not only helps prep the books for the sale during the year, but she is also the personnel chair for the sale, meaning that she helps coordinate the volunteers who help make the book sale run smoothly. 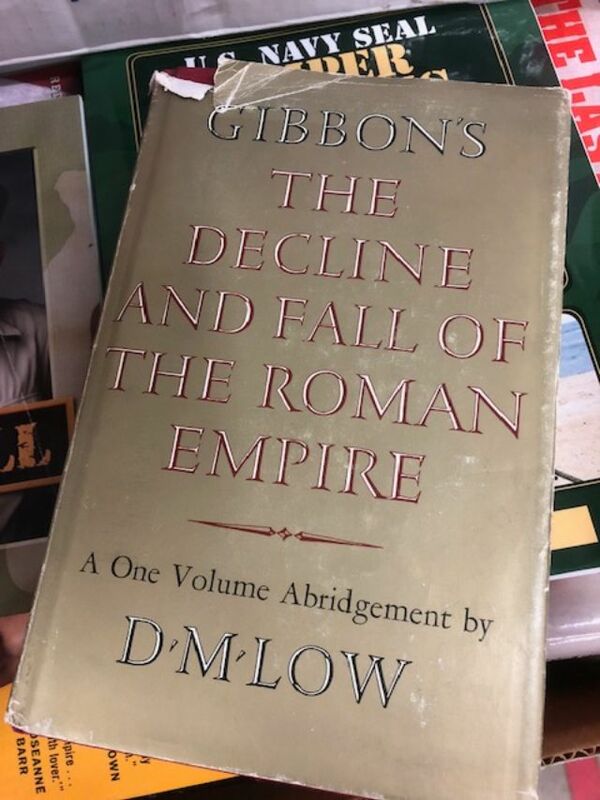 While she was sorting through books this year, she came across a fair-condition copy of an abridged version of Edward Gibbon’s “The Decline and Fall of the Roman Empire.” Cathy told Liftable, a brand of The Western Journal, that it isn’t a very popular book, so knowing that she had already saved three copies of the book that were only gently used, her first instinct was to throw the book into a pile for repurposing and repulping. But before she tossed it, she thought that she should at least fan through the book first. That’s when she found the $4000 in cash. She said her second thought was, “Wow. This is enough money to fund a supplemental charity.” But then she found an address label inside left by the original owner and a letter written to the owner’s children and their spouses instructing them to share the stashed money among themselves. Cathy knew she had to find the rightful owner. Thankfully the previous owner had an unusual last name which made the search easier — so much easier, in fact, that Cathy found his family online after just 10 minutes of searching. Once Cathy got in touch with the owner’s son-in-law, the family was able to come down to the warehouse to retrieve the nearly forgotten money. Cathy said the children asked their father if he had cleverly stashed any more money in any more books, but he said that he hadn’t. The family was extremely thankful for Cathy’s quick action to find them and even gave a large donation to VNSA to show their gratitude. As this story spread, Cathy said the most popular question has actually been why she didn’t keep the money for herself. She said the question has “surprised” her and has ultimately been disappointing. 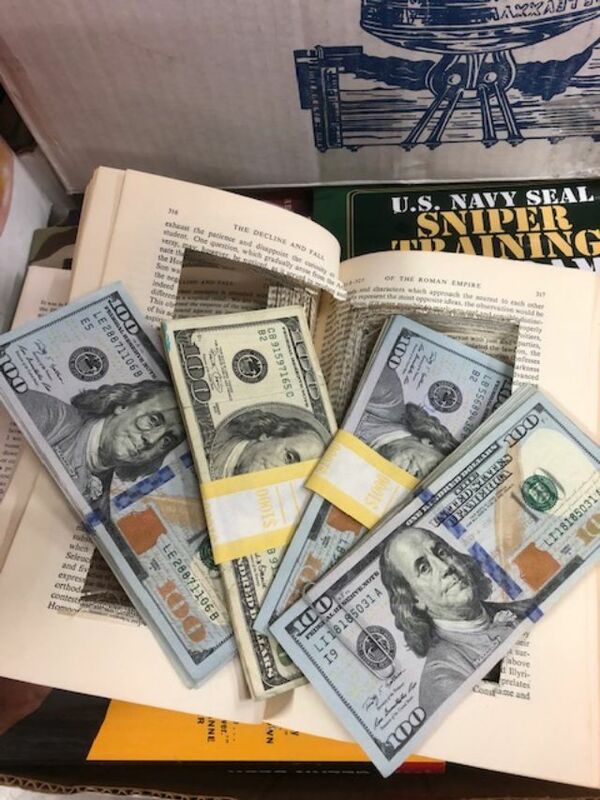 When the doors to the book sale opened on the morning of Feb. 9, 2019, Cathy said that VNSA volunteers were expecting to see people holding up books and checking for hidden treasures like the one that she found, but said that they had not seen anyone specifically searching for anything other than a good deal on books. Kayla is a Staff Writer for Liftable, a section of The Western Journal. She has been writing stories about faith, entertainment, and women since 2018. Kayla Kunkel began writing for Liftable, a section of The Western Journal, in 2018. Most of her writing highlights stories about faith, entertainment, and women. Kayla is currently finishing her Bachelor's degree online with Grand Canyon University, an endeavor that originally began in 2010 at the University of Memphis.